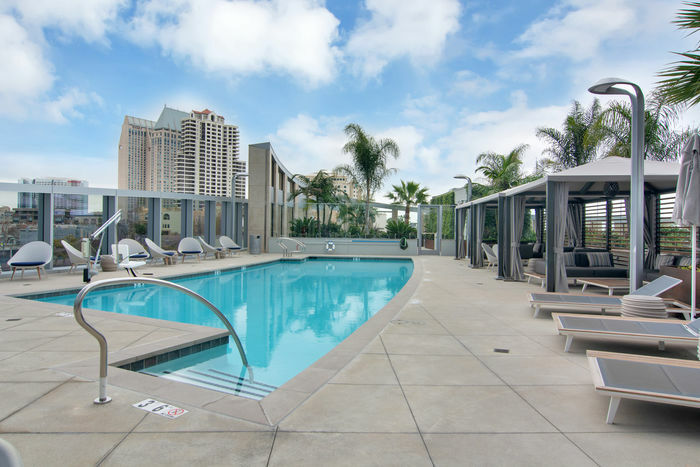 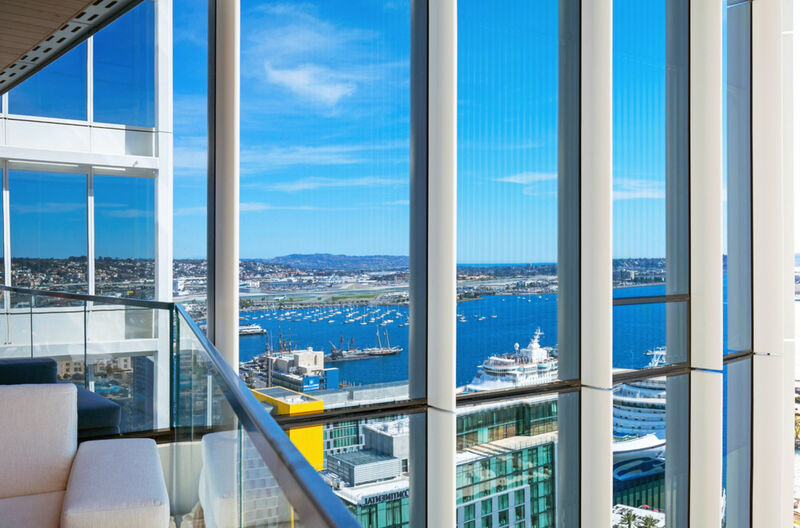 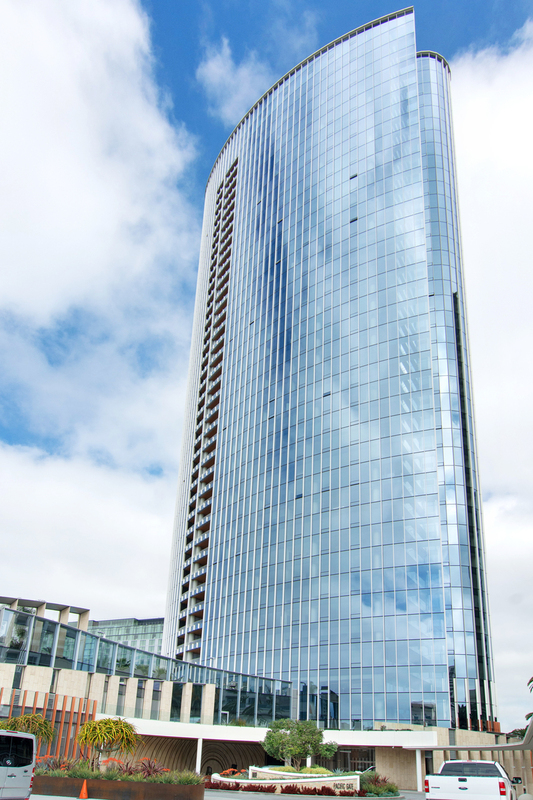 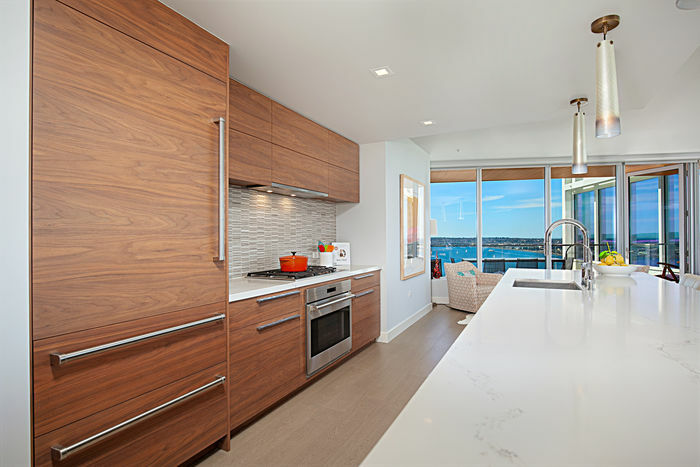 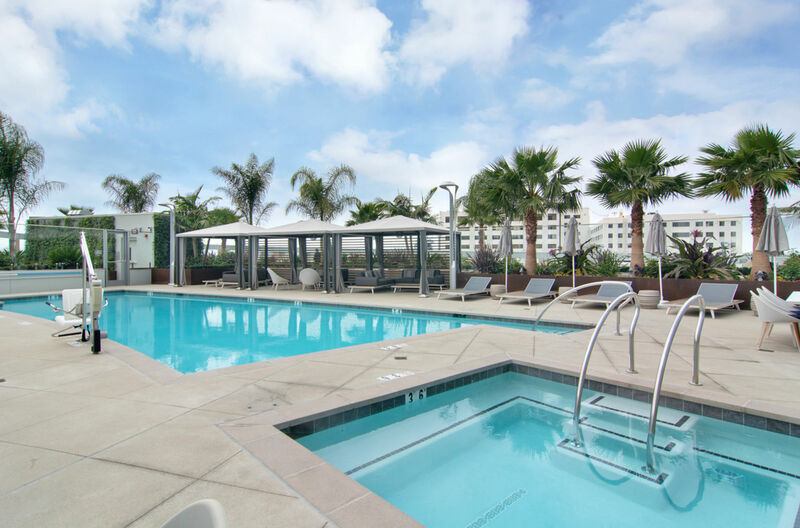 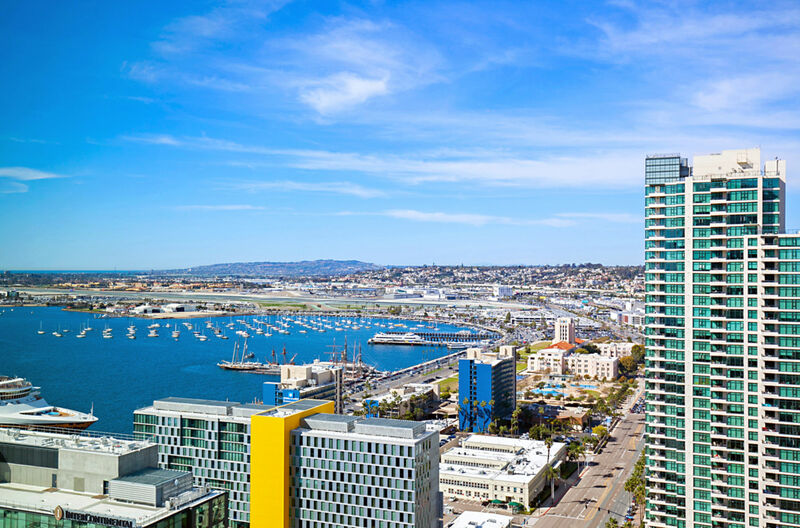 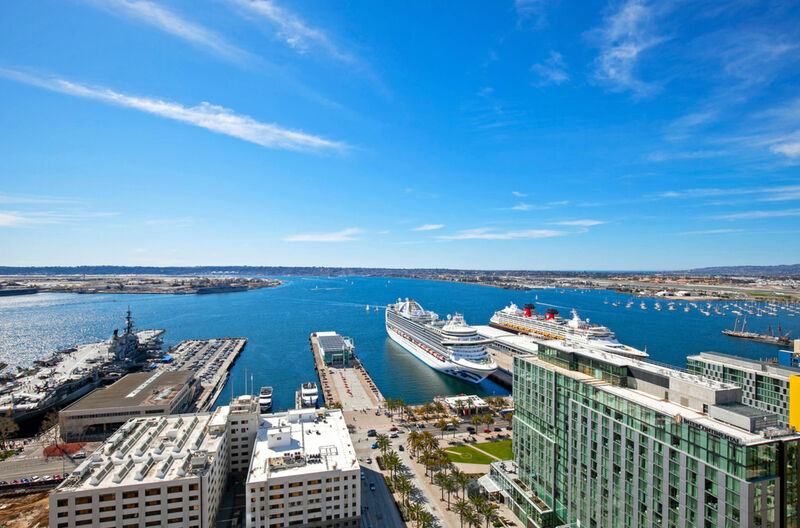 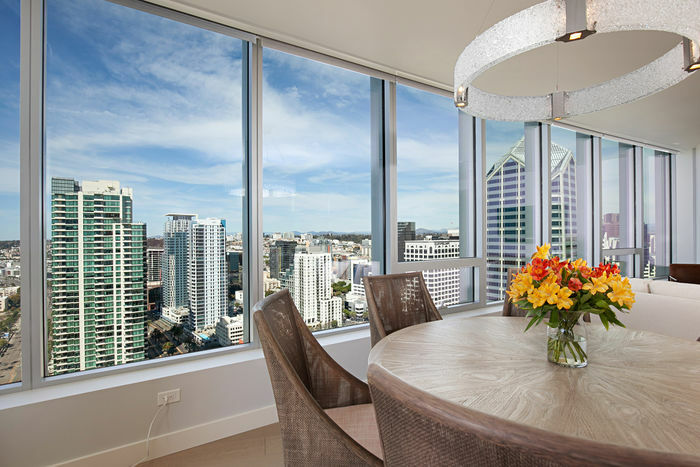 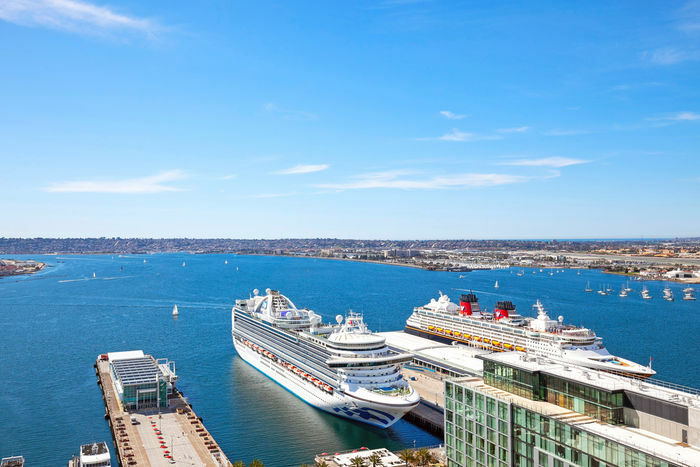 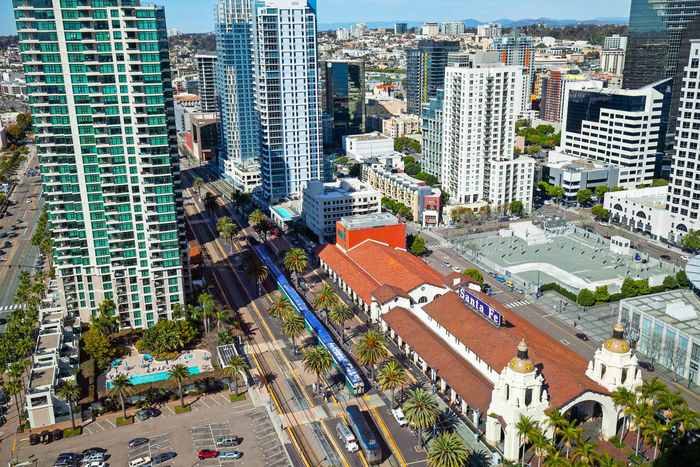 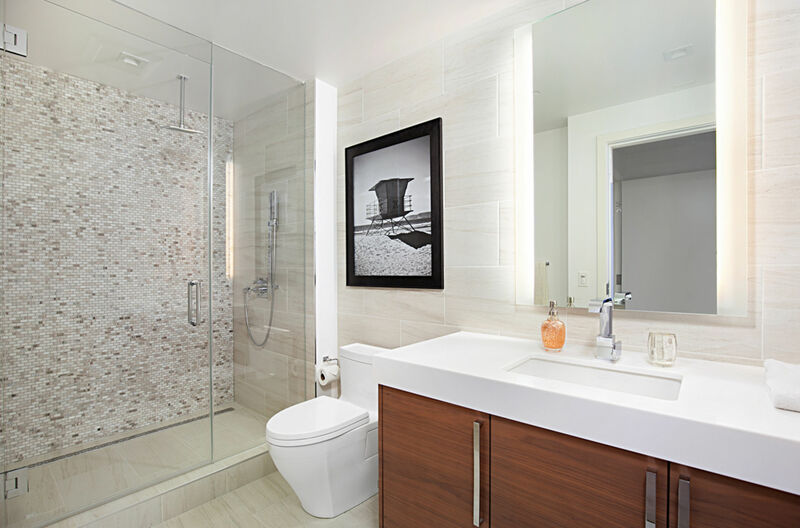 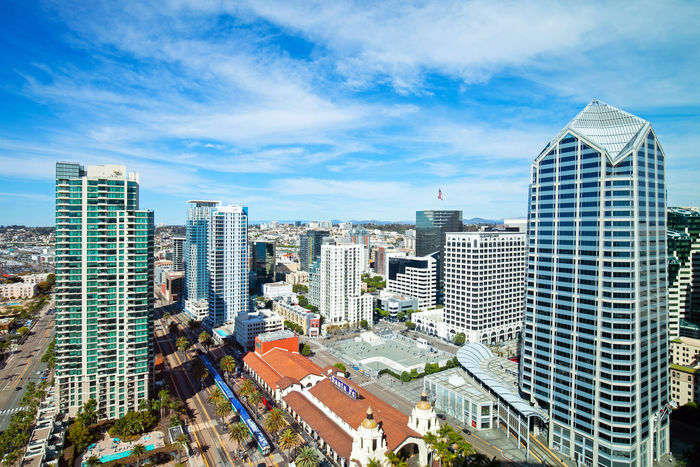 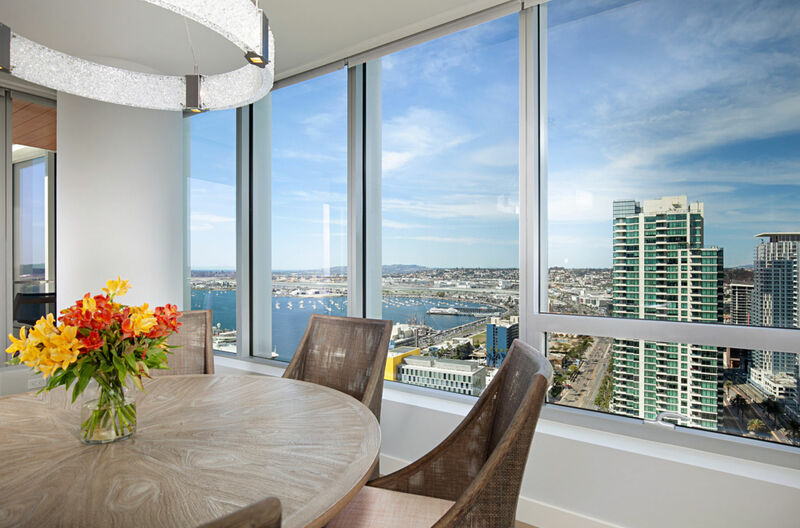 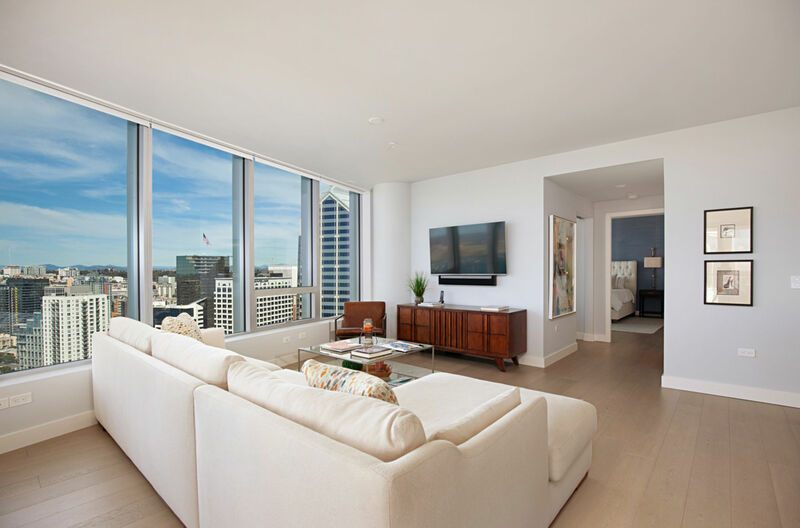 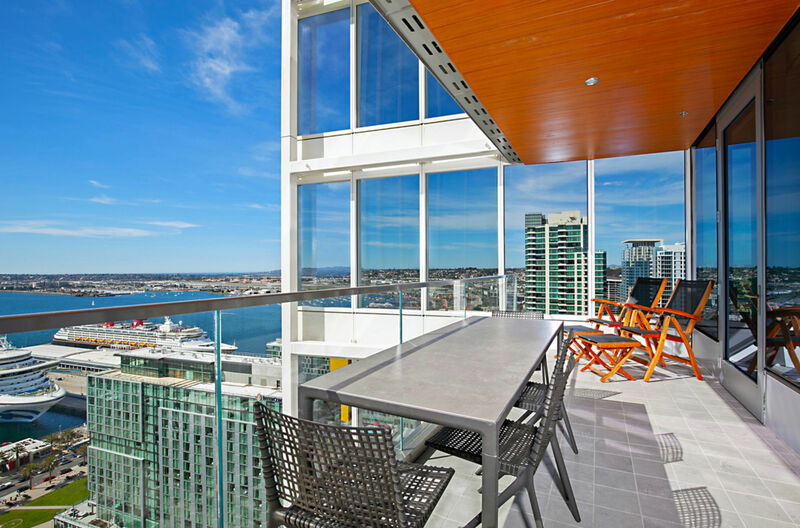 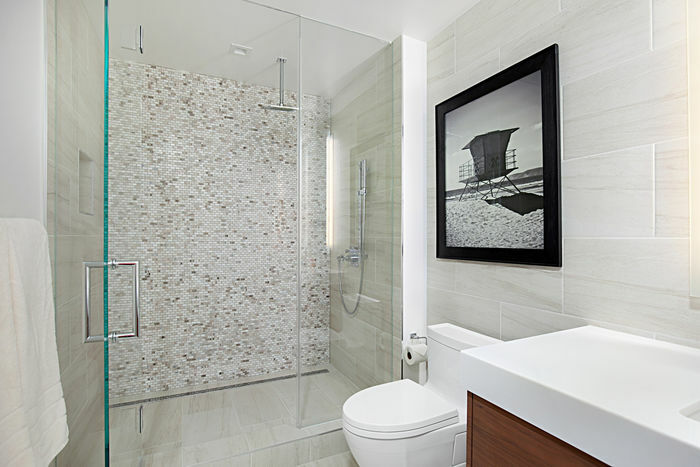 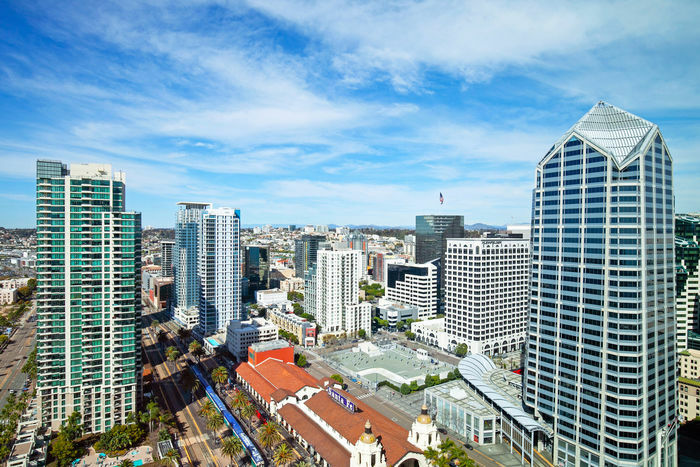 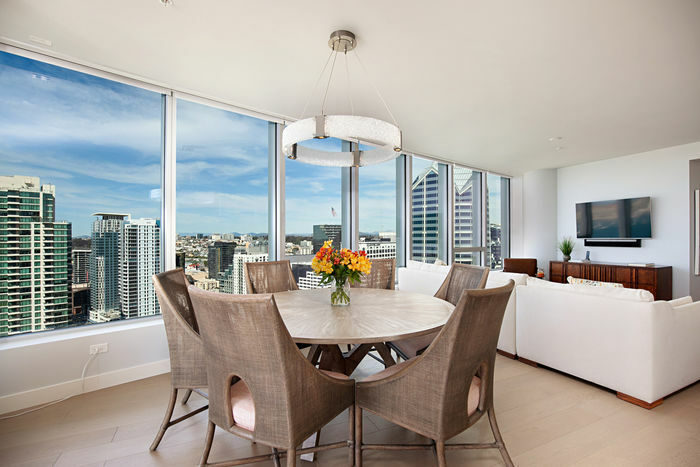 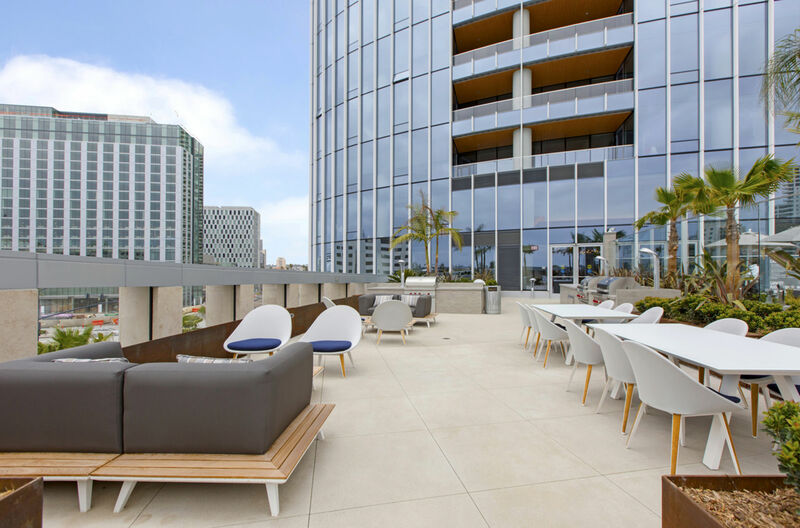 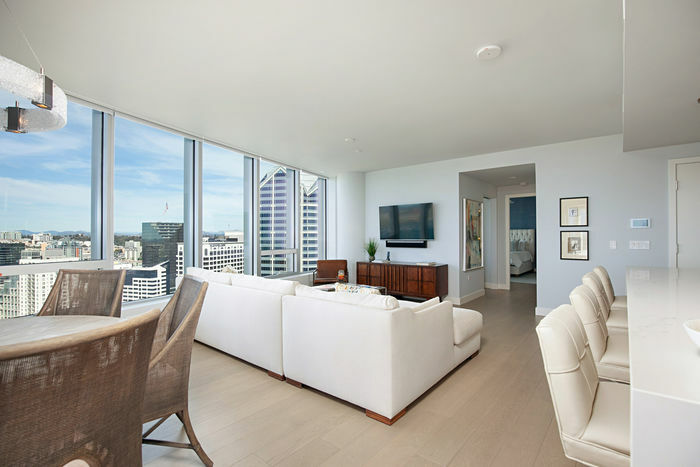 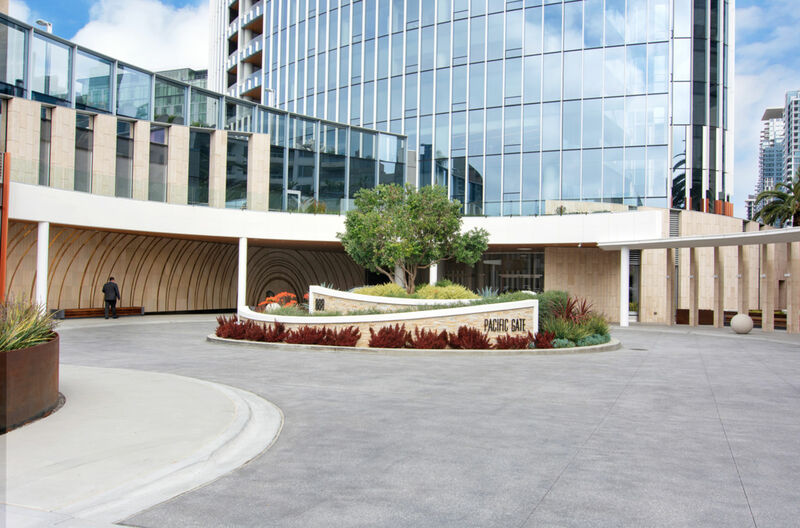 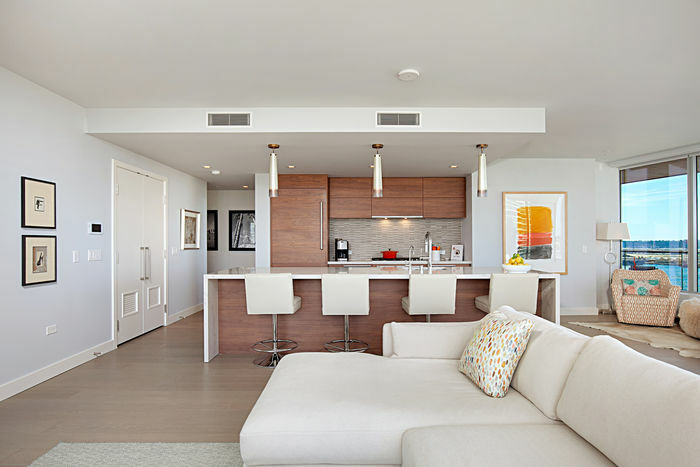 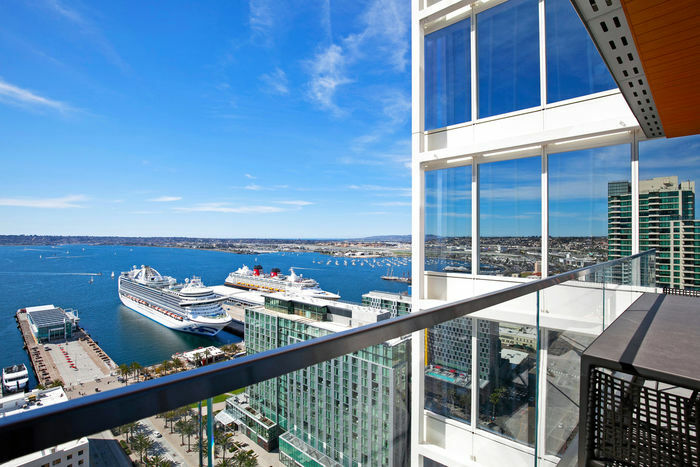 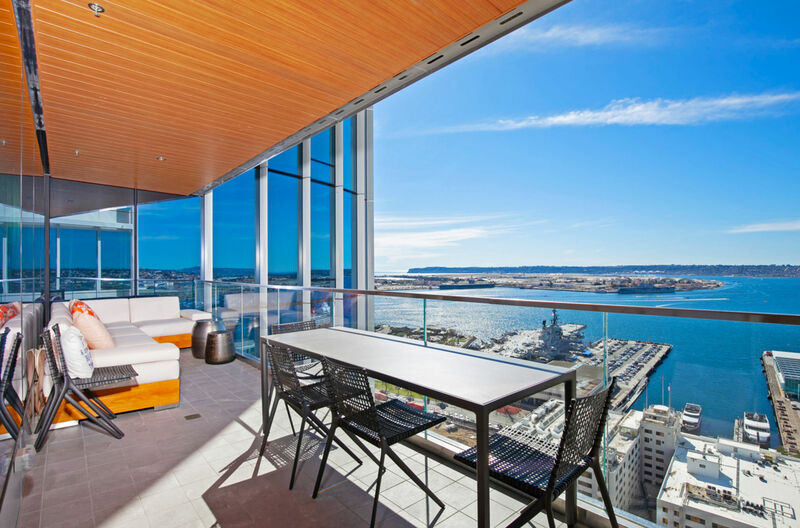 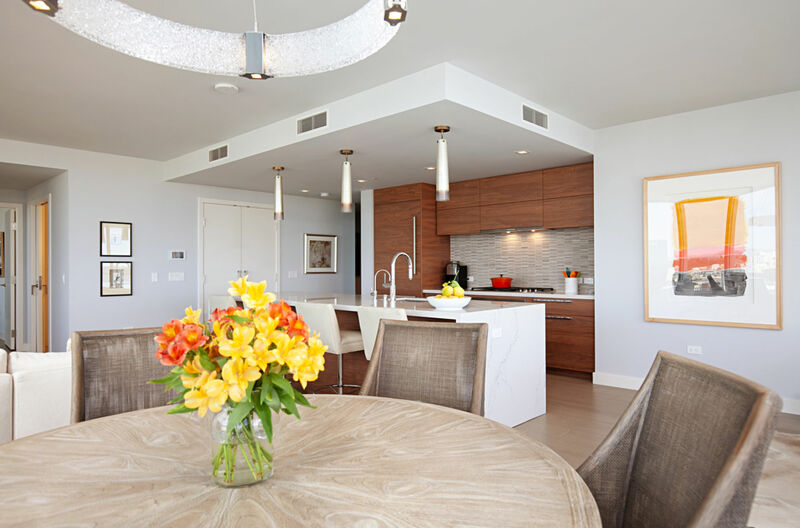 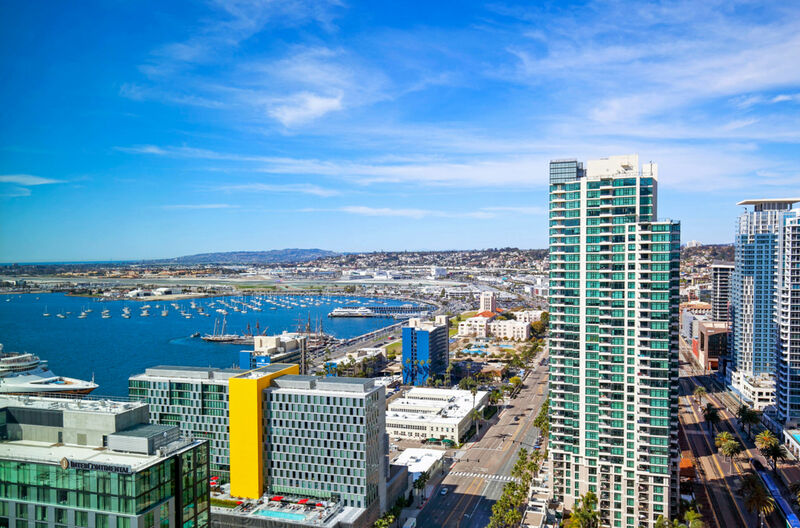 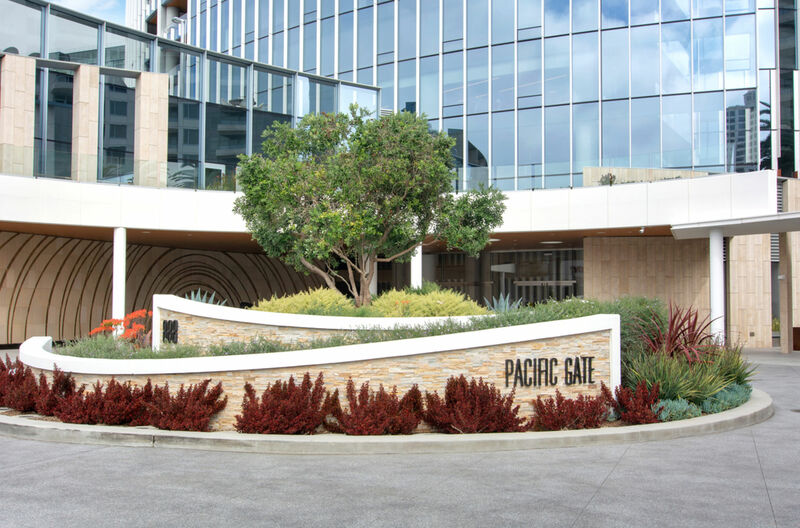 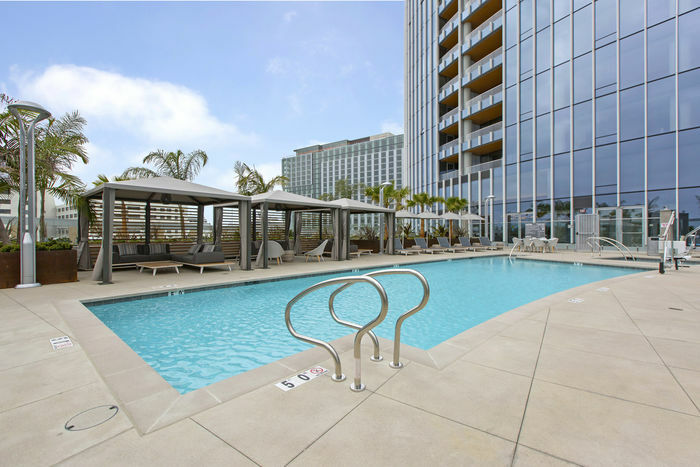 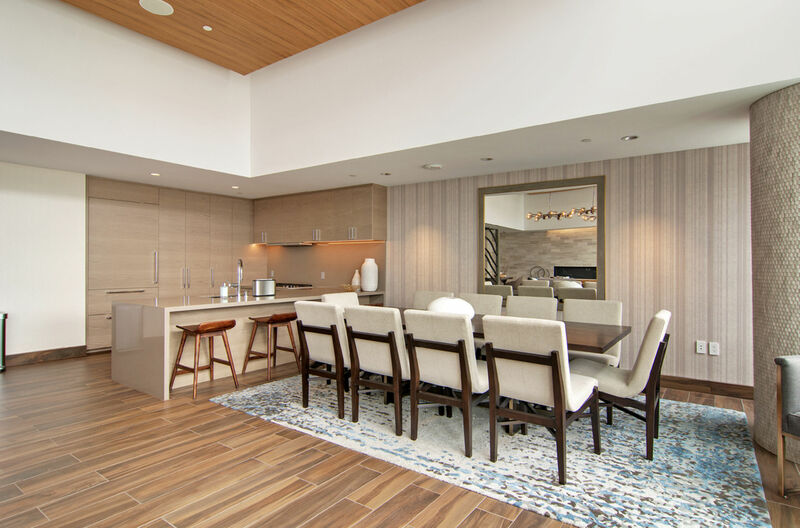 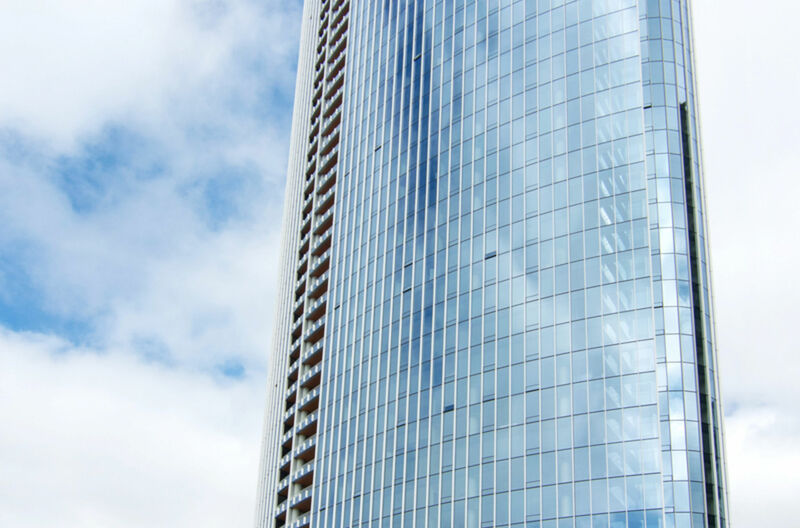 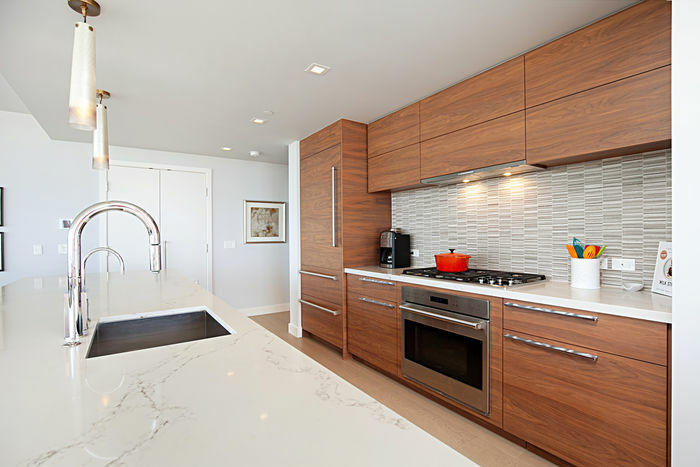 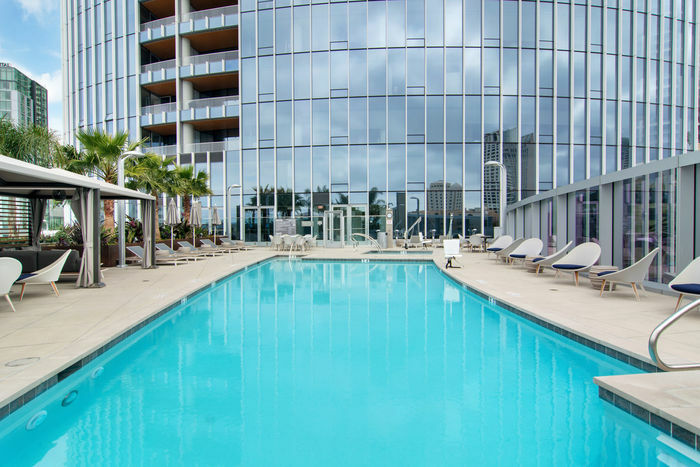 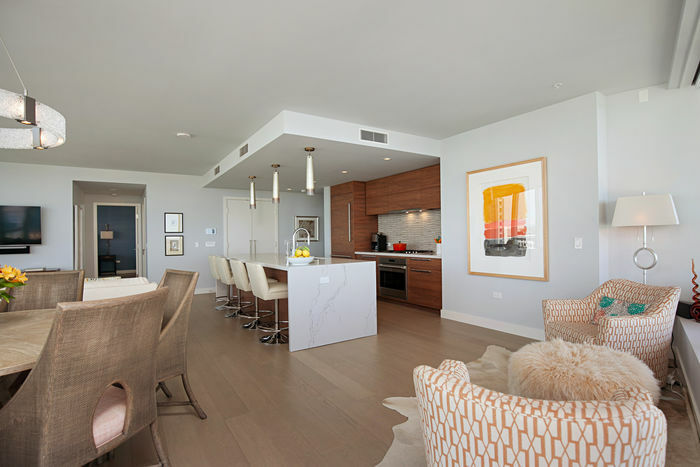 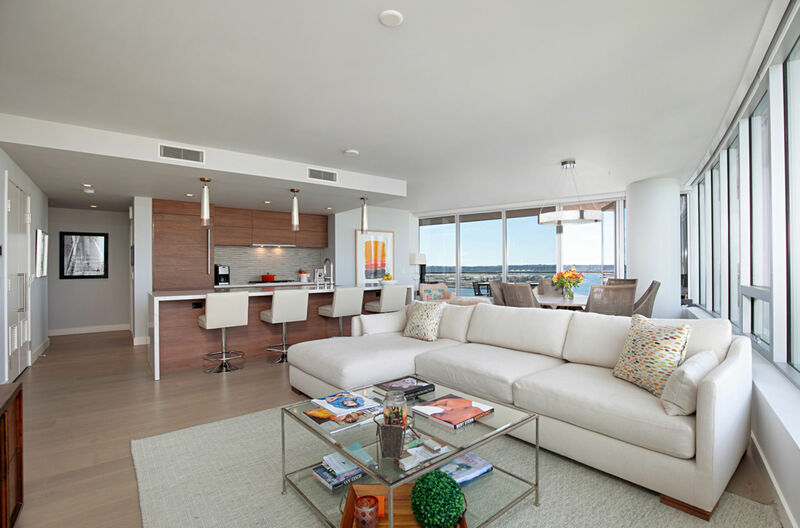 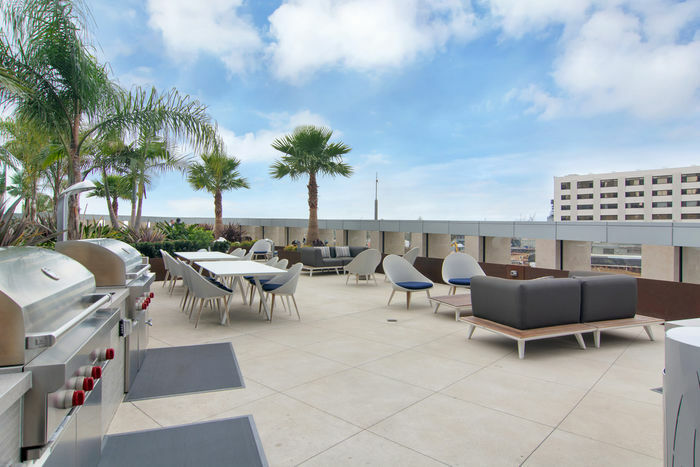 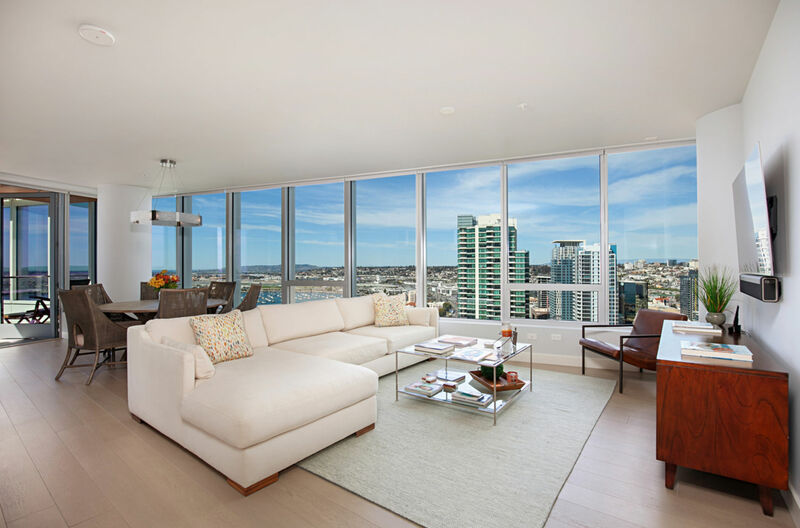 Downtown’s newest luxury high-rise Pacific Gate, San Diego’s “Super Prime” community. 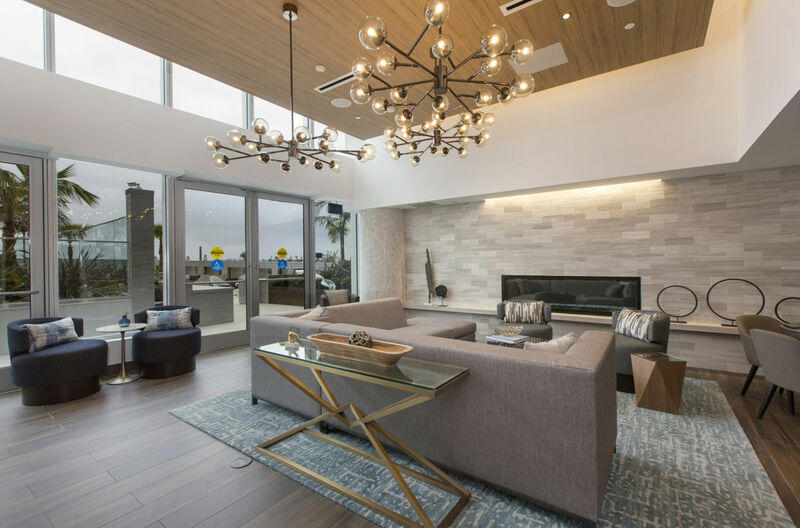 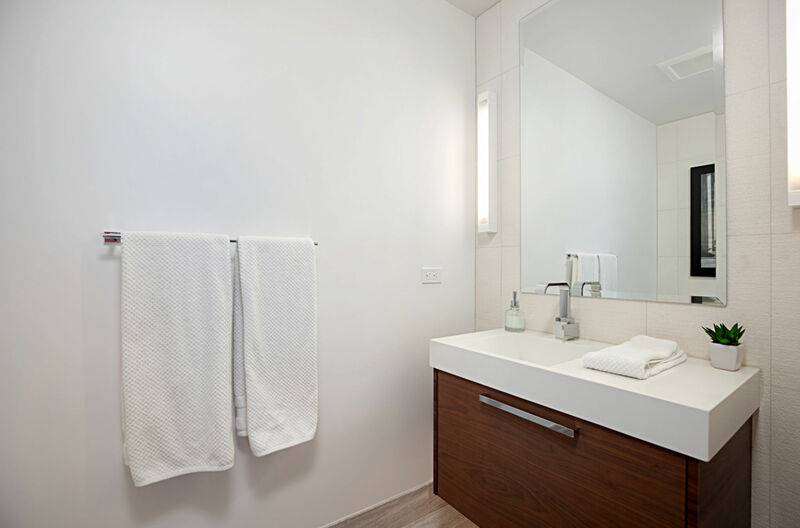 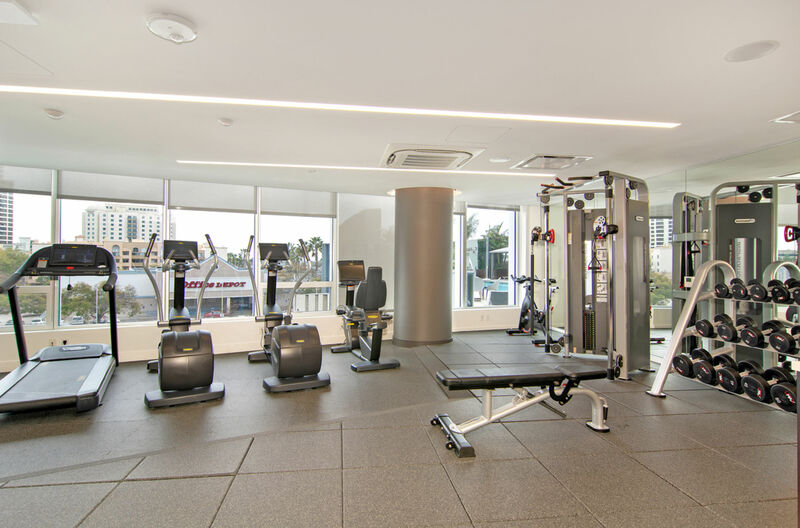 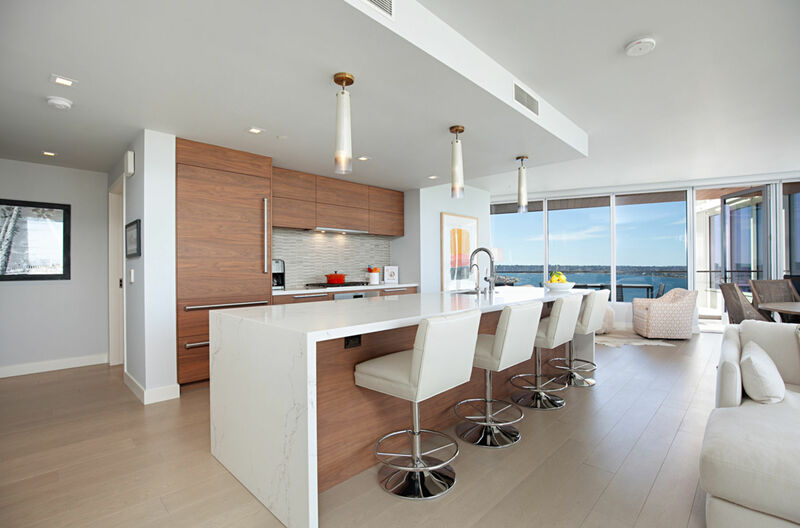 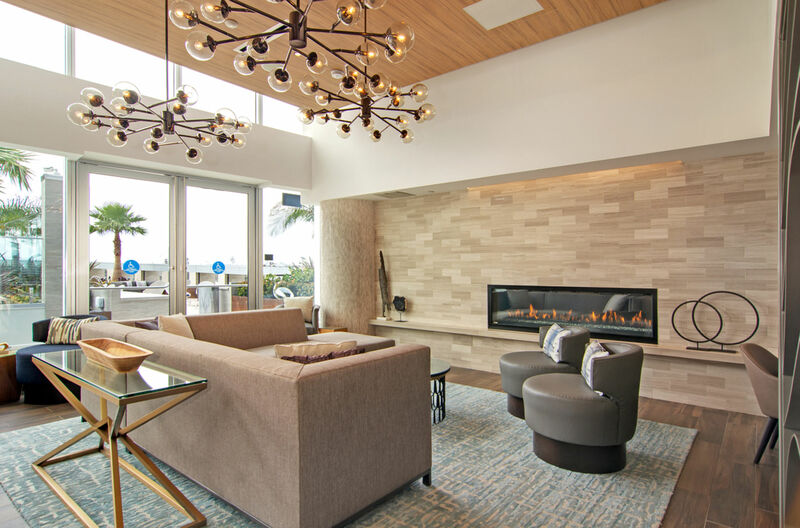 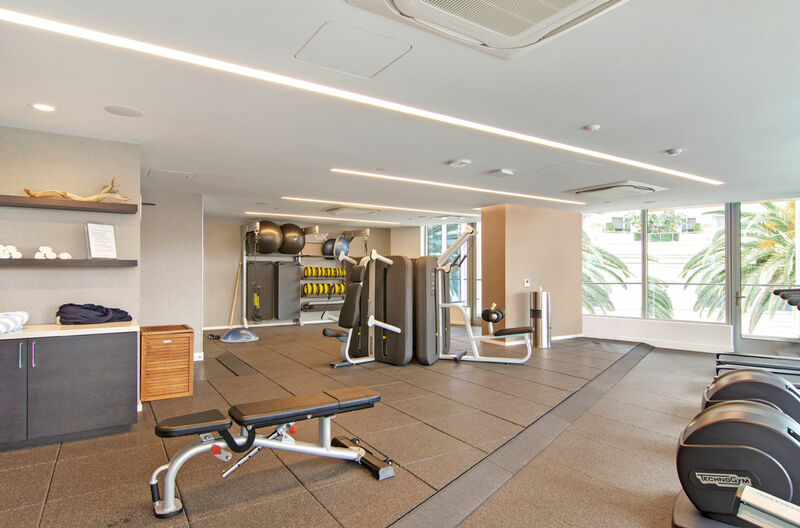 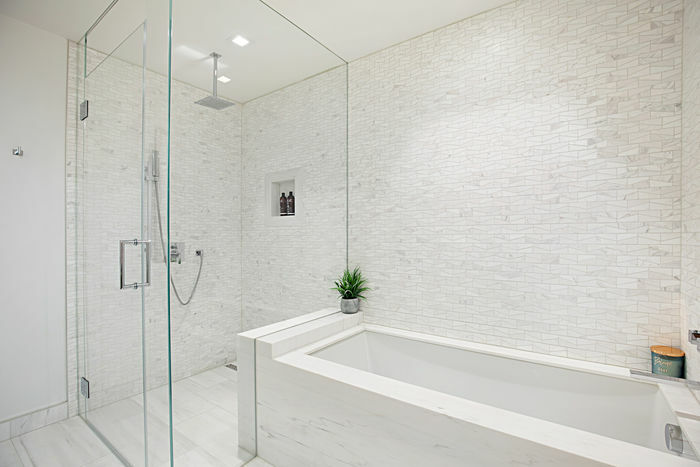 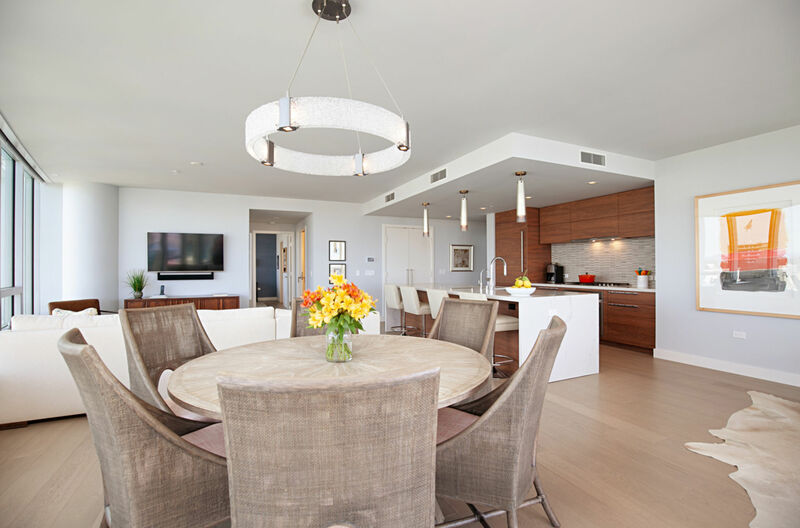 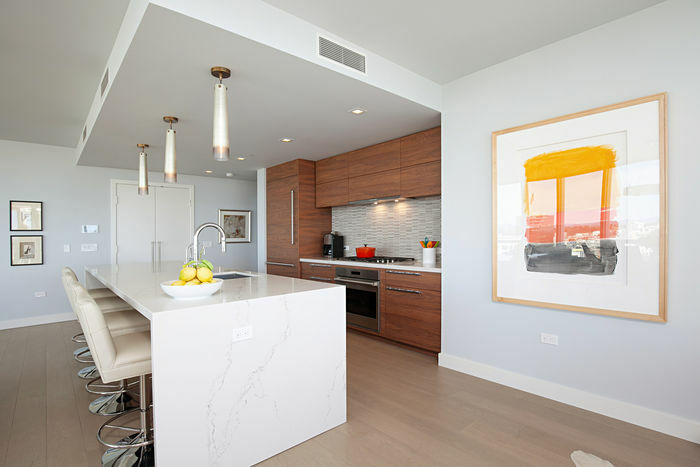 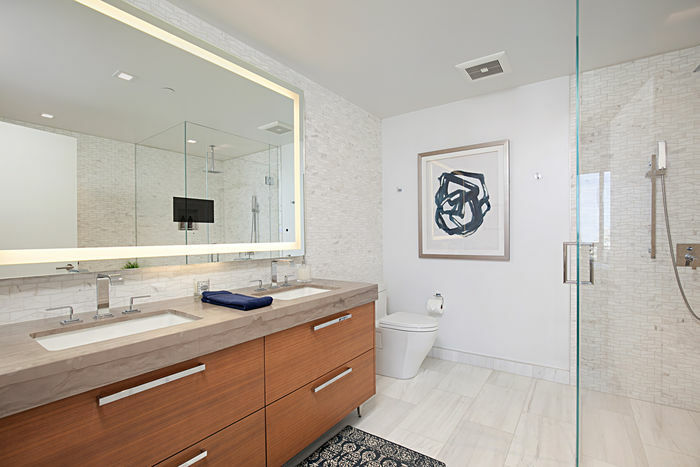 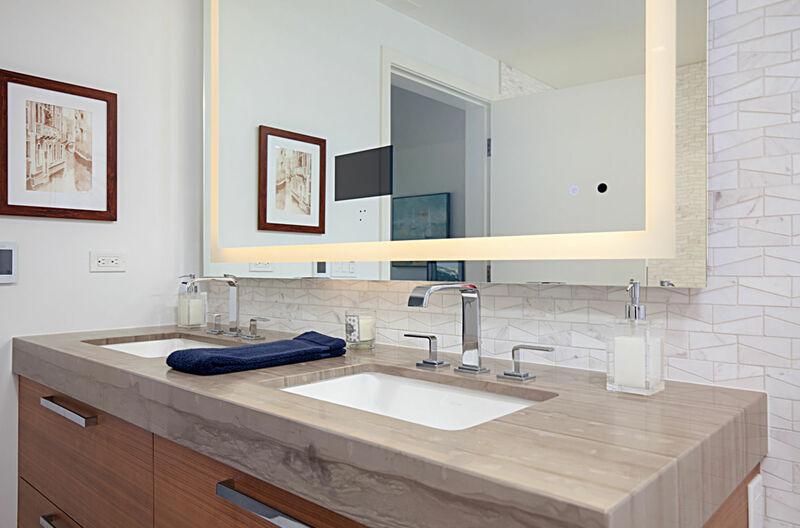 Exclusive amenities include: Yacht, 4 luxury vehicles, electric car charging stations, chef, concierge, well-equipped fitness center, heated pool, spa, poolside cabanas, expansive BBQ deck, community room with fireplace and full kitchen, movie / sports screening room, and mor. This northwest corner residence was the most popular floor plan, due to NW protected views and larger than average balcony. 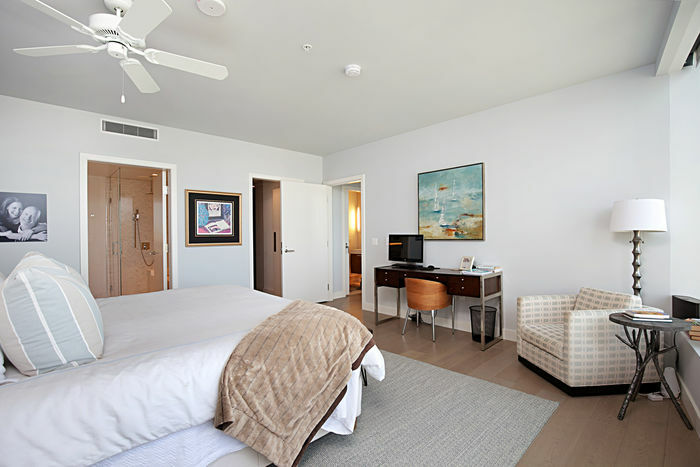 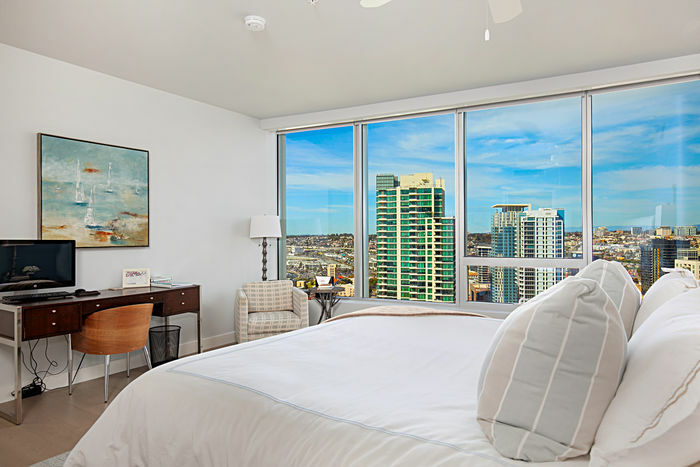 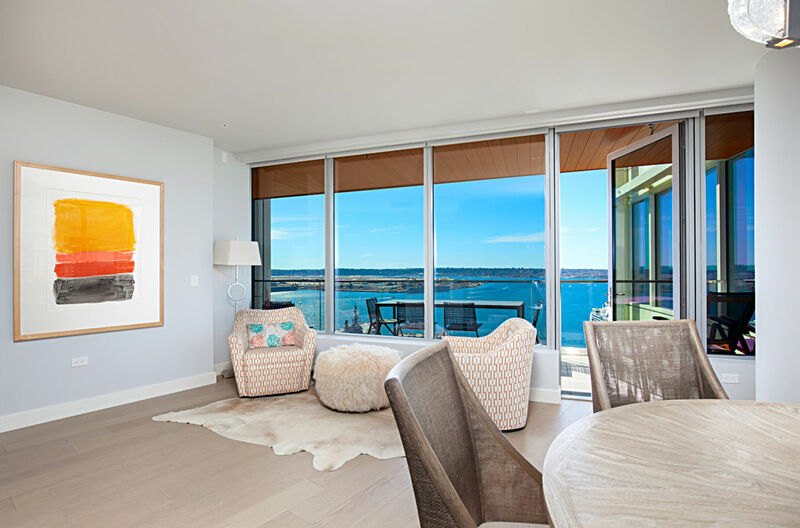 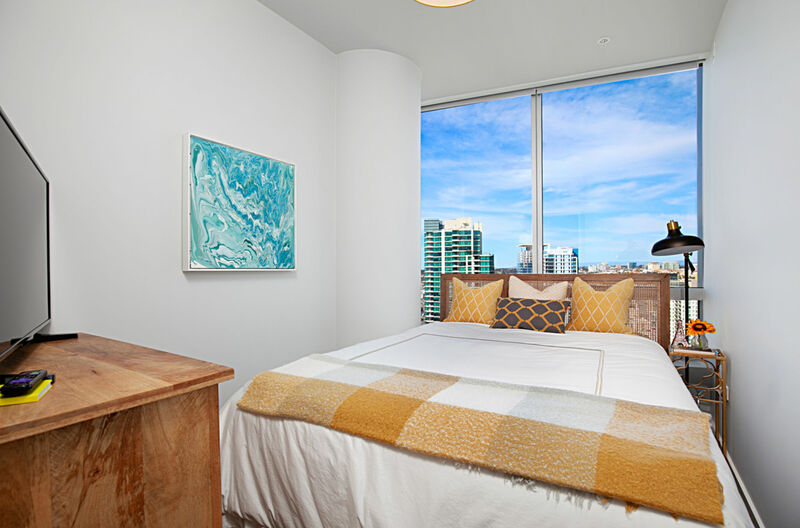 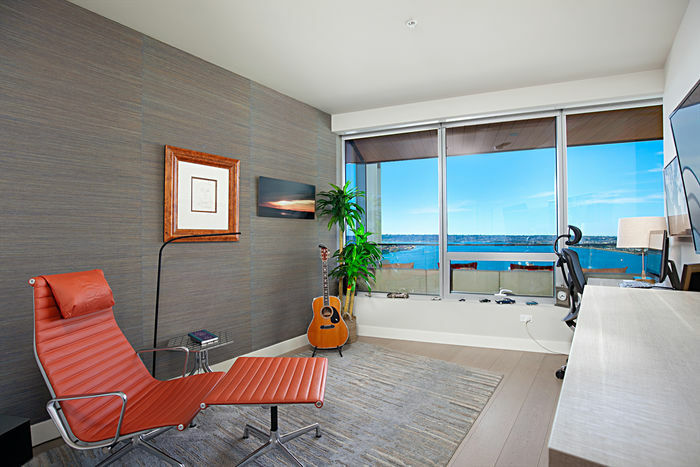 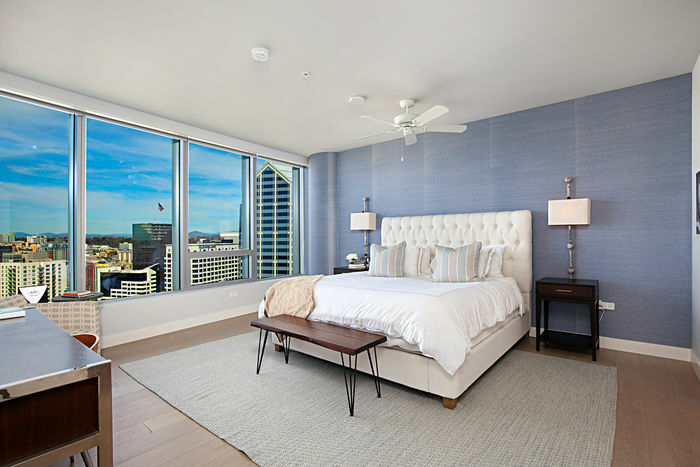 Enjoy bay & city views from the dual master suites plus a den.